The performance starts with two youths on opposite sides of the law, one who’s father is a Cross and therefore is Home Secretary, and the other who struggles to attend a decent school and earn a living due to the fact that he is a Nought. Although, with all this conflict and speculation bubbling all around them Callum and Sephy still find time to meet up and talk of a dream world where there are no barriers, although the realty really states otherwise. When Callum attends a Cross school we begin to see this friendship, and more, deteriorate, and violence begins to seep into their private lives, forcing them to make difficult choices. With Sephy abandoning her old life for boarding school and Callum for the supposed terrorist group (arranged of Nought rebelers) the two grow further apart. However, passion, chance and a long lost letter bring them back together to make the ultimate choice, and secrets are unveiled that will result in one not making it out alive. 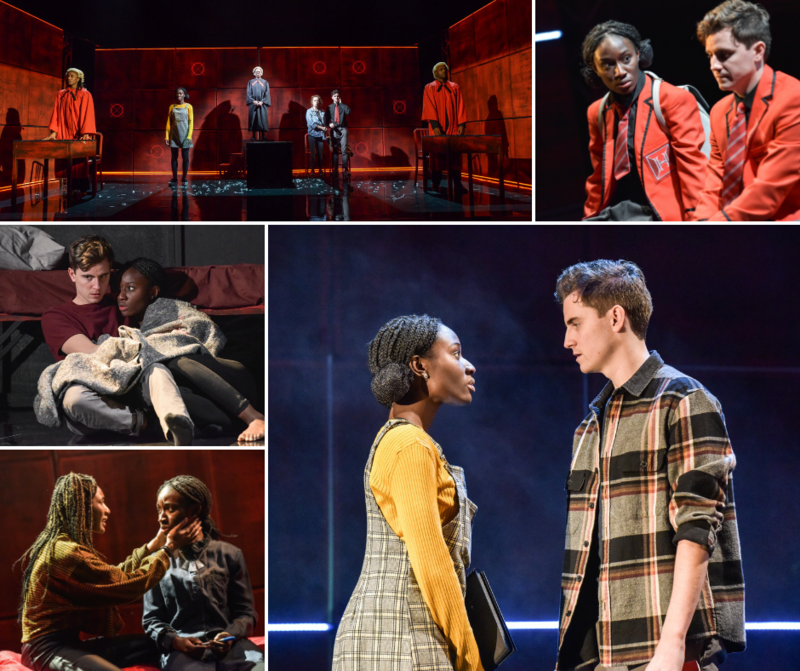 The two young protagonists, played by Billy Harris and Heather Agyepong bring a softness to the harsh and jagged world around them, with the actors balancing the levels of comedic timing and high stakes drama well. The cast in general also impress with their ability to switch characters repeatedly during the performance, with varying vocal and physical tones, making one feel as though they are watching a cast of millions. Review written by Luke Redhead.